Whitetail World Forums » Some "Other" Stuff » FAQ's and "How To's" » Adding an avatar Select A Forum INFO ON NEW FORUM » Making the Move... 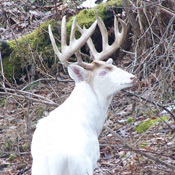 It's All About The Whitetails » Whitetails "Catch All" » Got Pictures? Got Video? Got Questions? » Food Plots WTW Member Section » News and Notes » Introductions » Member Hunt Journals » Contests and Challenges » Classifieds » The Spot for Jokes and Games Some "Other" Stuff » Equipment / Gear / Reviews » Turkey Talk » Other Critters » FAQ's and "How To's"
Here are instructions on adding an avatar. One key factor to remember is the size of the avatar. The max size of the avatar is 175 pixels by 175 pixels. If your image is not square that is ok, but just make sure your biggest size is no more than 175 pixels. Please let us know if you need additional help. 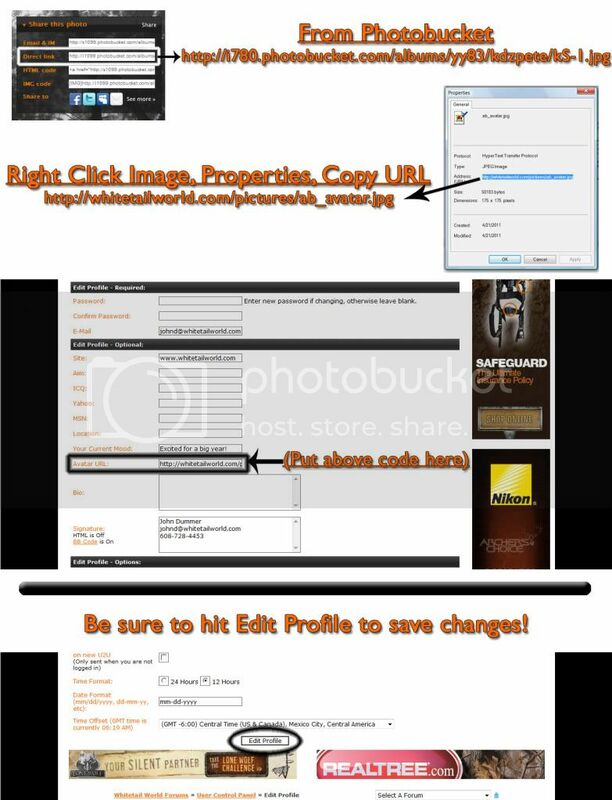 If you continue to have problems you can email the picture to pics@whitetailworld.com and we can get it placed for you. Any sugjestions for a good site to use to resize pics?